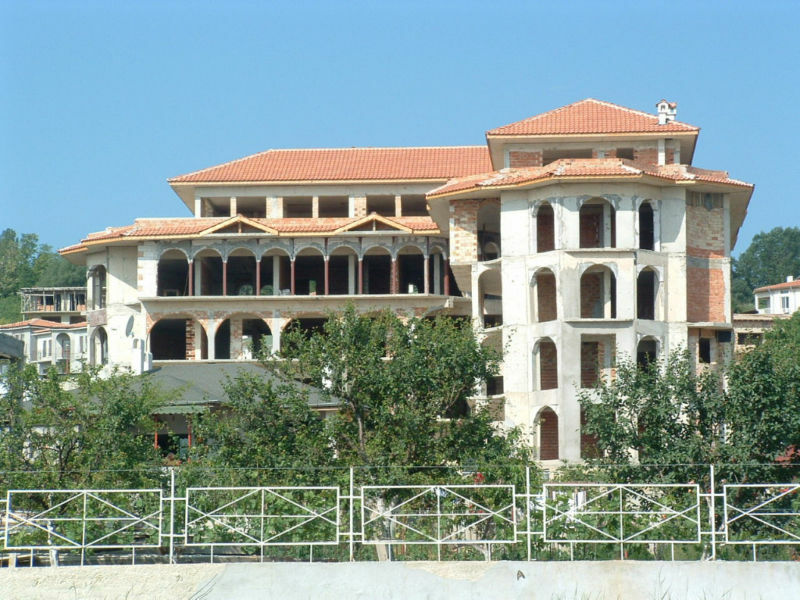 Why not try and make a offer for this Apartment complex of 22 apartments not finished built area of 2250 sqm Only 200 m from a secluded beaches in Byala near varna From the 2nd floor upwards nice sea views This Apartment complex in Byala varna Region. our company can finish of the building for you to the standard that you would like. This Complex is 55 km from Airport Varna and 70 km from Burgas Airport. As you can see from the above pictures, there is a lot of on going modernization and development in Byala. This Project once finished has a value of approximately you tell me!!! As price will go up by the time this is finished As the build stands at its current stage of construction, you could turn the project from apartment complex to Hotel Private hospital Any one looking for a project to finish, with a fantastic return of over ????????? in profit, this could be an ideal opportunity. We hold all current and legal Documents up to Act 14 in are office in Varna APPARTMENT IN THIS AREA ON THE MARKET ARE AROUND 650.00 EURO PER SQ.M FINISHED If you�re tired from the big city and you want a beautiful house close to the sea this is the house for you. Our Company has it own building department employing 42 builders are building prices for you houses start from 365.00 euro a sqm. In OUR office in VARNA we have are own Architecture dept where we can meet all you planning need. All Bulgarian Properties charge 3% agency commission (but not less than 500 POUNDS) payable at signing of the Preliminary contract RESERVATION AND AGENCY COMMISSION You could reserve this house immediately by providing a non-refundable deposit of 1 000 Euro, payable by credit card (VISA, MasterCard) or bank transfer. Upon paying the deposit the property will be reserved for the period of 14 days and after that the buyer will have to sign the preliminary contract. A Bulgarian Ltd company is needed to be set up in order to obtain property with land in Bulgaria. Currently foreign Nationals are not allowed to own land in Bulgaria, whether it�s a plot of land or a plot of land with or a property which is sold with land. This will not Change till 2014 The Normal way around this obstacle is for clients to have a Company incorporated in Bulgaria and own the land as an asset of the business. We will incorporate a Company for you for 249.00 pounds or 275 euro which will cover all expenses associated with the Company registration. In addition you may use our office address free for the first year. Should you have more questions please do not hesitate to contact us on by e-mail: at allbulgarianproperty@gmail.com or phone us 0035952691111 00359887691111 out of hours (mobile) 0035952696080 (office land line/s).